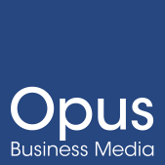 Opus Business Media is pleased to announce the appointment of Georgie Whitworth to the editorial team. Opus Business Media is pleased to announce the launch of a new digital magazine for the energy management industry - Tomorrow's Energy Management. Opus Business Media is pleased to announce the rebrand of Tomorrow’s Flooring magazine, which will now be known as Tomorrow’s Contract Floors. Dean Walford has been appointed Account Manager to head up the sales team on two Opus titles.